Brooklyn beaches are so cool that your hair even knows your not in Long Island, the Jersey Shore, Florida, or California anymore. "Natural sea salt gives you volume, and a dose of jojoba oil keeps the salt from being overly drying." 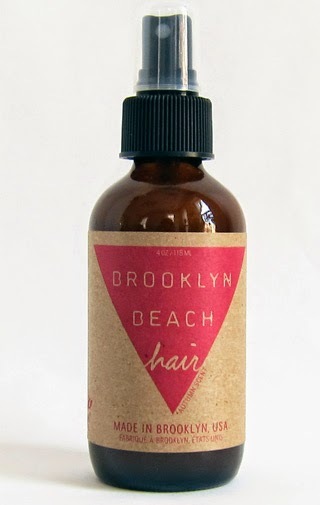 It's certainly not the ingredients that give this hair tonic its Brooklyn flavor, but that isn't going to stop some marketer from promoting Brooklyn Beach Hair as an obtainable look. There is a feeding frenzy over Brooklyn's cool factor right now. According to the New York Daily News, Brooklyn has become one of the nation's 30 most popular girls' names, moving from #912 in the nation to #28 in 2013. Of course of the 41 states where Brooklyn is now the most popular girl's name beginning with B, New York is not among them. We know what's up. Our garbage still stinks.